Woo 3 - lohesurfi, purjelaua, wake hüpete kõrguse mõõtmisseade. WOO is for kiters, wakeboarders, freeskiers and snowboarders eager to improve, stoked about riding, and wanting to play everyday! Record every session, see your progress, and congratulate your friends. Jump in and surprise yourself with how far you can go! Records relative position to determine jump height, airtime, landing force, trick performed, and landing quality. Experience the rush of breaking through a height barrier, landing new tricks, collecting achievements and battling your friends on the leaderboards! This kit contains all you need to play the WOO games: WOO 3.0 device, charger and mount. The long side of the WOO should follow the long side of your board, so that it’s PARALLEL to the board (not perpendicular). Independent if you’re a Regular or Goofy rider, the button on the WOO should ALWAYS face your RIGHT foot! We use the orientation of the WOO for correct Stance and Trick Detection. Set your stance in the WOO Sports App and the WOO knows if you did a trick in your normal stance (Regular / Goofy), or if you did it switch (SW). 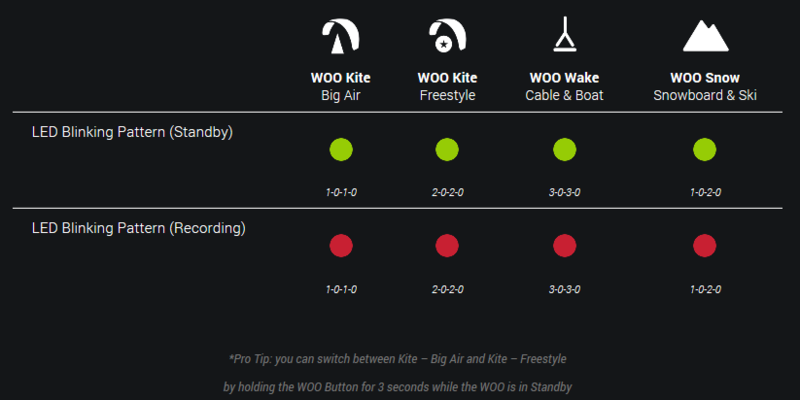 Depending on what type of board your want to mount your WOO Mount, we recommend some slight differences between Kiteboard & Wakeboards, Snowboards, and Ski’s. 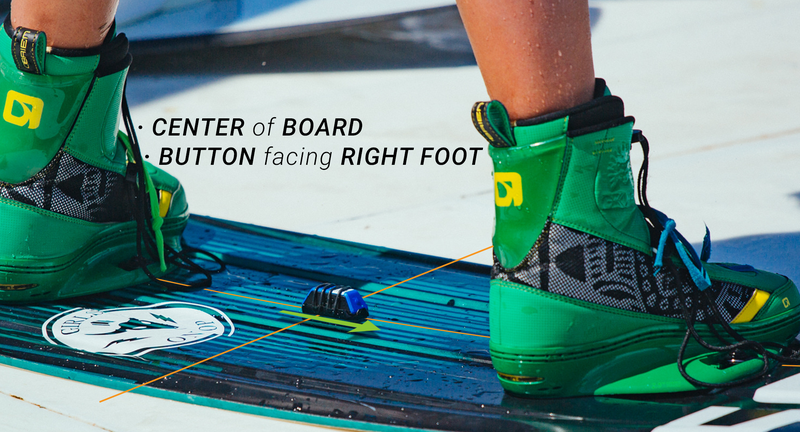 Start by identifying the center of your board. You’ll want to place the mount on the center of your board, running parallel with the rail. For kiteboards, if you use a grab handle, place your WOO so you can still use your handle (we recommend just to the side of the handle – still in the “middle” but slightly to one side. Use the alcohol swab provided to clean the center of your board and let the board dry. Remove the backing from the WOO Mount and place on the center of the board. Press firmly to make sure it’s solidly attached. Make sure the BUTTON of the WOO is facing your RIGHT FOOT. For best results, let the mount set overnight before riding.